On the 8th and 9th of August, Vuly once again attended the Toy and Baby Fair and Vendor Dinner, hosted by Toys ‘R’ Us Australia! 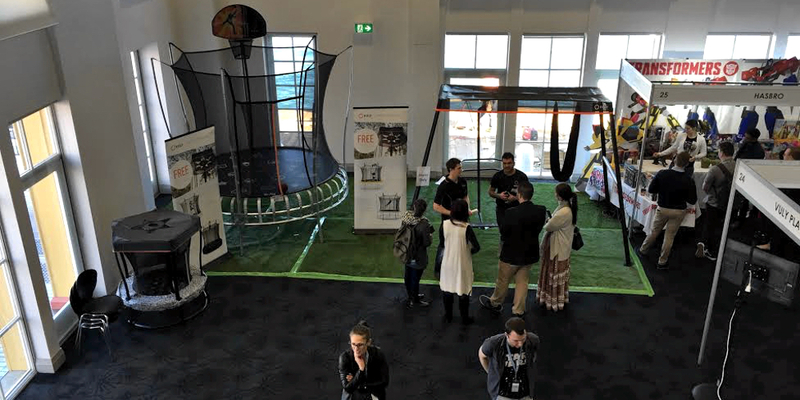 The Vendor Fair and Dinner is one of the highlights of our year at Vuly; it’s when we get to send our leadership team to showcase the latest Vuly outdoor play products to all the stores that comprise Australia’s leading retailer. Since last at the Vendor Fair, Vuly has dramatically overhauled and expanded its range available in Australia. Not only have we introduced the Thunder trampoline – which makes springless bouncing more affordable than ever – we’ve upgraded every Vuly trampoline and made every single one of those models available throughout our Authorised Reseller network. 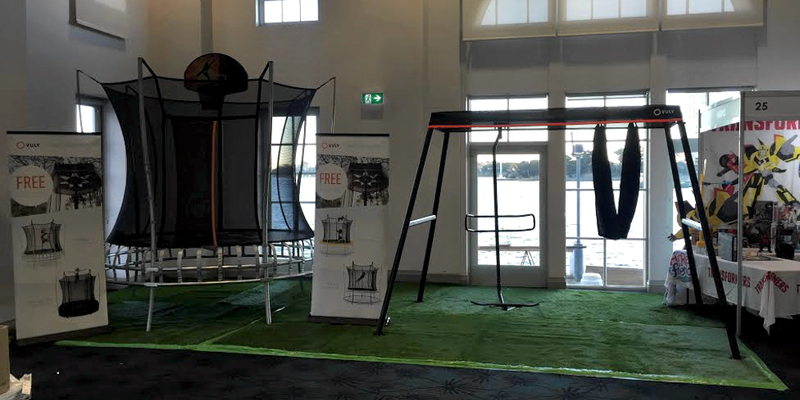 Vuly has also launched the 360 Pro play set: a fully modular product, where customers can choose from a range of unique swings to suit their family and even move up a size down the track just by purchasing an Upsize Kit. Both Thunder and 360 Pro were on display for the entire Toys ‘R’ Us network. Our Divisional Leader (James), along with Vendor Fair veterans (Matt and Davinder), presented the range to managers from across Australia – right in front of the Sydney Harbour Bridge too! They showed off the incredible Spin and Yoga swing options on 360 Pro, which are totally unique to Vuly. As a returning winner of Best Outdoor Toy and Best Vendor, Vuly is excited to continue working with all the excellent Toys ‘R’ Us stores. It’s our mission to bring safe, active and healthy play to kids across Australia, and were able to further that goal with Vuly available through every Toys ‘R’ Us outlet. See here to find a store near you!